Please take a few minutes to both pray and take action on these important issues. Then forward this e-mail on to like-minded friends, family, churches and associates. Easter Project 2015 gift delivery day! Encourage-A-Legislator Coordinator Ginger Yoak and her husband Jim, Volunteer Coordinator Val Cummings and Records Correspondent Diana Kaufman came to help Capitol regulars Legislative Liaison Sherry Kuttenkuler, Legislative Liaison Linda Laird and State Director Bev Ehlen with the delivery of the Ten Commandments plaques and Easter cards to each of the members of the Missouri General Assembly. The Ten Commandment plaques were well received. We had Legislative Assistants even asking how they, too, could get one, and we had some visitors to the Capitol stop by our work area to see what we were doing. Thankfully, we had purchased some extra so we were able to bless each person who asked for a Ten Commandment plaque that day. A special thanks to Ginger, Jim, Val, and Diana for taking time out to help. We greatly appreciate every one of you! CWA of Missouri and Missouri Alliance for Freedom hosts the Truth Project on Wednesday mornings for the members of the Missouri General Assembly, staff members and individuals living near the Capitol. The week’s lesson was Sociology: The Divine Imprint – The order we observe in the natural realm is even more apparent in the social systems God has established: family, church, community, state, labor, and the union between God and man. Life is a series of relationships that flow out of and reflect the Trinitarian nature of the Creator. We are happy to report that the people of Springfield repealed the highly controversial sexual orientation gender identity ordinance that was passed by the Springfield City Council last year. The vote was 15,364 (51.43%) YES votes to 14,510 (48.57%) NO votes. It was close. We are so grateful for this victory. Many pastors in Springfield stepped out of their comfort zone and got involved. Thank you, Father God, for honoring these pastors and the people of Springfield with this victory. Bev Ehlen took a break from CWA activities and traveled to SE Missouri to help a friend who was a first time candidate for school board. Linda Laird was at the Capitol taking care of business. Linda attended the hearing on HB104 sponsored by Isaac Haahr (R-District 134) in the Senate Judiciary and Civil and Criminal Jurisprudence Committee meeting. This bill prohibits an institution of higher learning from taking any action or enforcing any policy that denies a religious student association any benefit available to other student organizations. 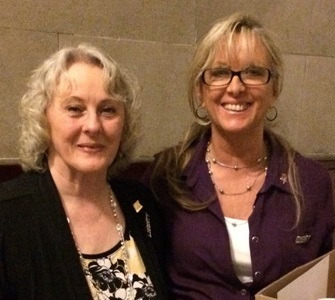 CWA of Missouri supports HB104. Action Item: Please contact your state senator and ask him/her to support HB104 when it comes to the Senate floor for debate and vote. Click here to find out who your state senator is as well as their contact information. Also heard in the Senate Judiciary and Civil and Criminal Jurisprudence Committee meeting, sponsored by Rep. Isaac Haahr (R-District 134), was HB152 which expands the crime of sexual trafficking of a child to include advertising a child participating in a commercial sexual act. CWA of Missouri supports HB152. We expect this bill to pass without opposition. CWA of Missouri and Missouri Alliance for Freedom host the Truth Project on Wednesday mornings for the members of the Missouri General Assembly, staff members and individuals living near the Capitol. The week’s lesson was Unio Mystica: Am I Alone? Is it possible for the infinite, eternal Creator to dwell within the heart of an individual? The implications of this great mystery, which represents the very core of the Christian faith, are explored at length in this examination of the most intimate of the social spheres. 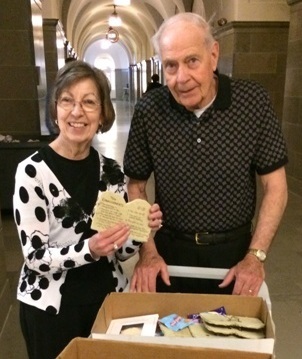 Linda Laird and Sherry Kuttenkuler delivered the weekly handouts CWA of Missouri prepares to leave in each office of each member of the Missouri General Assembly. They had several interesting and engaging conversations with members as they went from office to office. Linda and Sherry continue to do outstanding work as they track legislation, articulate CWA of Missouri’s position on many pieces of legislation and develop relationships with legislators and their staff. Thank you, thank you, thank you! Linda and Sherry then attended the Senate Education Committee meeting that afternoon where SB530, sponsored by Sen. Bob Onder (R-District 2), was heard. SB530 (the student protection bill) enacts multiple provisions to protect the privacy of student data. One of the biggest concerns we have with the Common Core State Standards Initiative is the data collection and privacy violation of the students. This bill will go a long way to protect the students in that regard. Action Item: Please contact Sen. David Pearce (R-District 21) at 573-751-2272 and ask him to hold an executive session on SB530 and then turn it in with full support to be placed on the formal calendar for debate and vote. Then contact Sen. Ron Richard (R-District 32) at 573-751-2173 and ask him to support SB530. Bev Ehlen was in Washington, Missouri, on Wednesday evening to help the local CWA Prayer/Action Chapter start a study on The Five Thousand Year Leap. This is a basic study on the twenty-eight principles our founders used to frame our Republic and write our Constitution. Action Item: If you would like to host a study like this in your area, find out if there is a local CWA Prayer/Action Chapter in your area and/or find out how to start a chapter, contact Bev Ehlen at [email protected]. We have this study and other DVD-based studies available to borrow. Bev Ehlen attended the Pastors and Christian Leaders Summit in Lee’s Summit. President of Amerisearch, Inc. Bill Federer, Liberty Institute Attorney Kelly Shackelford, Pastor and National Black Pro-life Coalition representative Stephen Broden and others spoke directly to the pastors and the lay people attending regarding our responsibility to be involved in public policy and how to prepare ourselves for the immediate future especially regarding Religious Liberty and the growth of Islam – a religion with equal political and military components. Thank you to Dr. Karladine Graves for hosting such a terrific event. If you live close to the Capitol or are visiting for the day, join us for breakfast and a dose of Truth at 7:00 a.m. in Hearing Room 4 on Wednesday mornings. Click here for more information. Action Item: Contact your state representative and state senator and ask him/her to attend on Wednesday mornings – especially Wednesday, April 15, when the lesson will be The State: Whose Law? and Wednesday, April 22, when the lesson will be The American Experiment: Stepping Stones. Both of these lessons have content that a public office holder needs to understand to fulfill their duties successfully. Click here to find out who your state representative and state senator are as well as their contact information.